Mutable Instruments Clouds is now also available for Softube’s Modular platform. The granular texturizer processes an audio stream into a flow of manipulable droplets with adjustable speed, size, stereo-spread or bit rate. Clouds can be utilized as a reverb, delay or one-shot sampler, but also create far out super sonic, well, clouds. OTO Biscuit 8-Bit is a virtual emulation of the same named French effect processor. It features bit and sample rate reduction, a sequencable filter and effects such as waveshaping, delay and pitch-shifting. The plugin was already released for the UAD-2 platform last year, but now OTO Biscuit 8-bit is available as a native plug for everyone. American Class A is a virtual channel strip based on a classic API mixing console. It features the characteristic stepped EQ with proportional Q values, a compressor, gate, transient shaper and drive. American Class A runs as a native plugin and is also ready for Softube’s hardware controller Control 1. The Weiss Compressor/Limiter plugin is based on algorithms from the WEISS DS1-MK3 hardware compressor. It features simple control in the front and expert settings in the back with 2 filters for selective compression, and 2 new limiter algorithms in addition to the Weiss original. The plugin is available both standalone and as part of the Weiss DS1-MK3 collection. Softube have also added 2 new modules to their virtual Eurorack system Modular: The Dopefer A-114 Ring Modulator and a Quantizer. 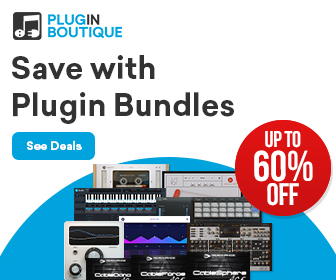 Also, all plugins of the Softube Volume 2 bundle including Modular are now NKS-ready and can be browsed and controlled with Native Instruments Maschine and Komplete Kontrol hardware controllers.